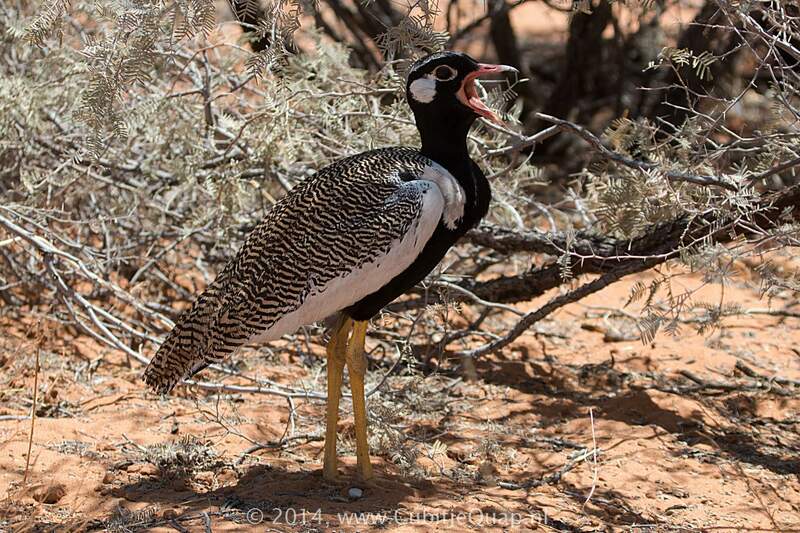 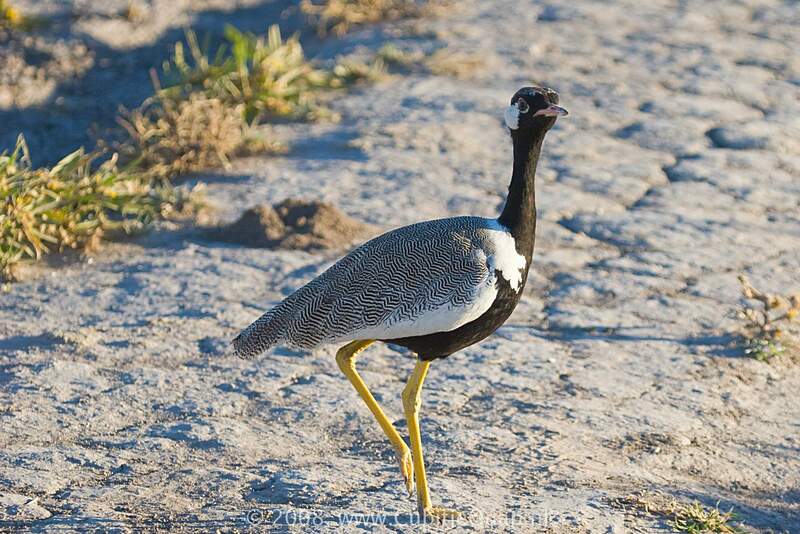 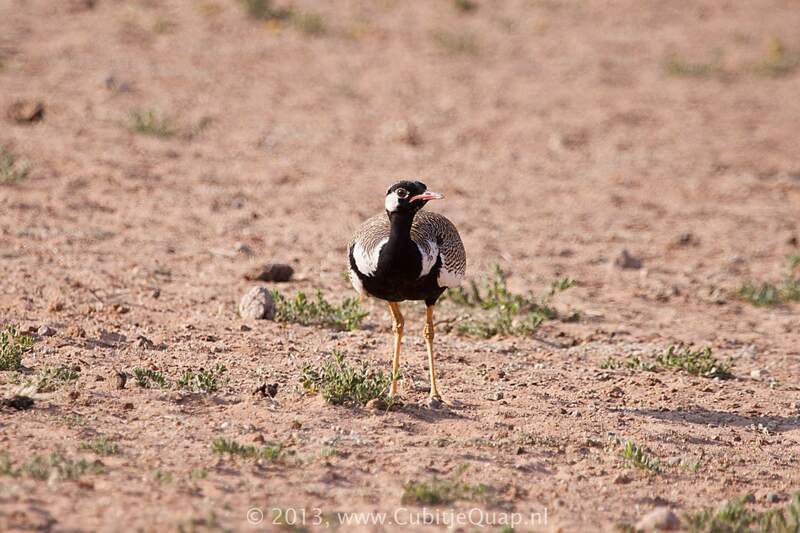 This species differs from Southern Black Korhaan in showing conspicious white flashes in the primaries in flight. 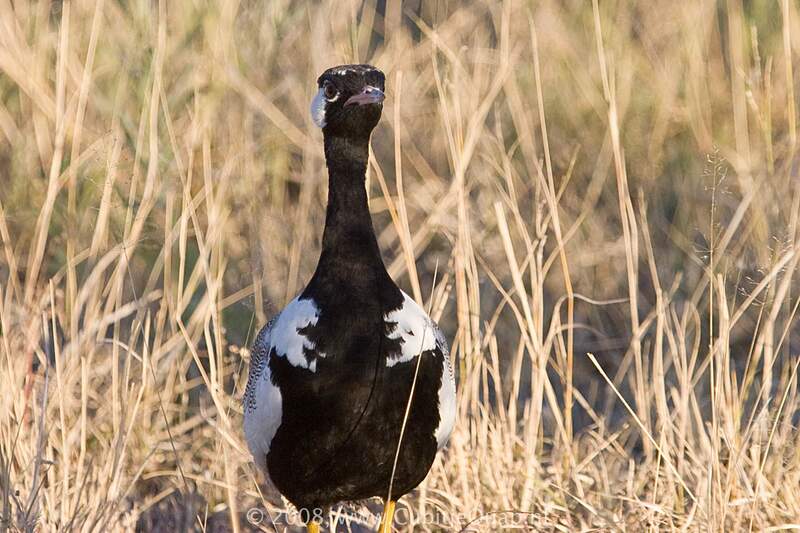 Confusion with Southern Black Korhaan is unlikely as their ranges do not overlap. 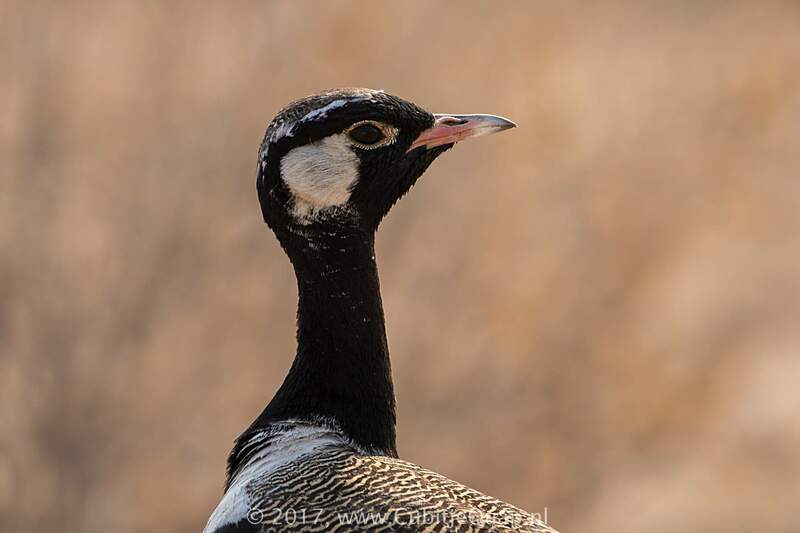 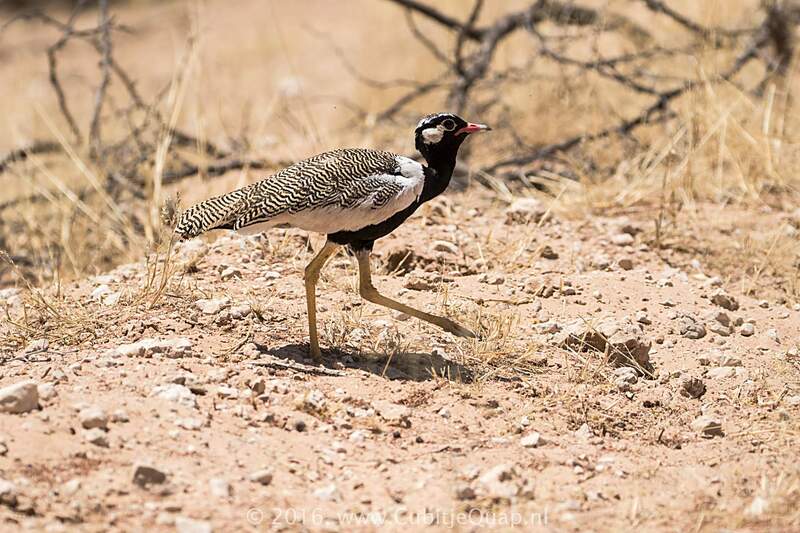 Female resembles female Southern Black Korhaan but is easily distinguished in flight by the extensive white in the primaries. 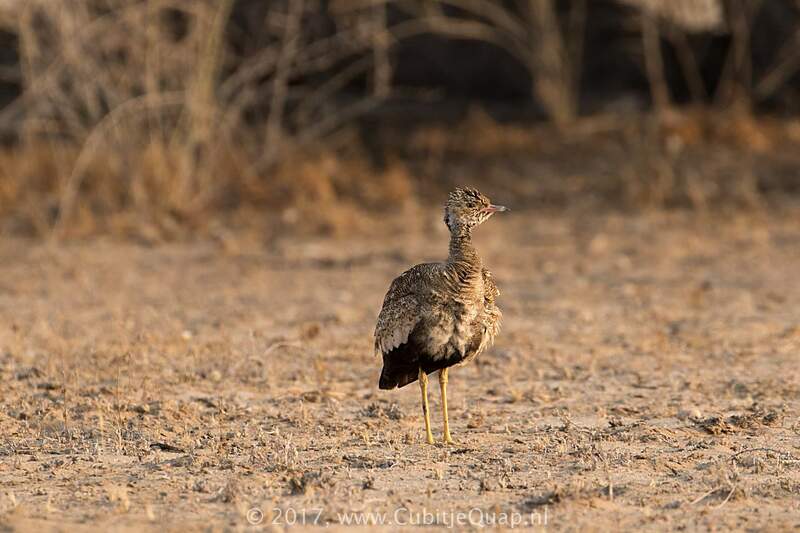 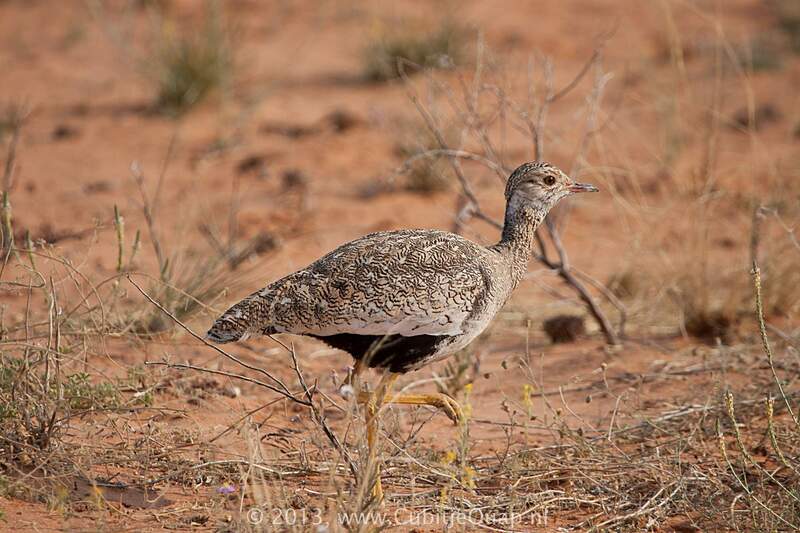 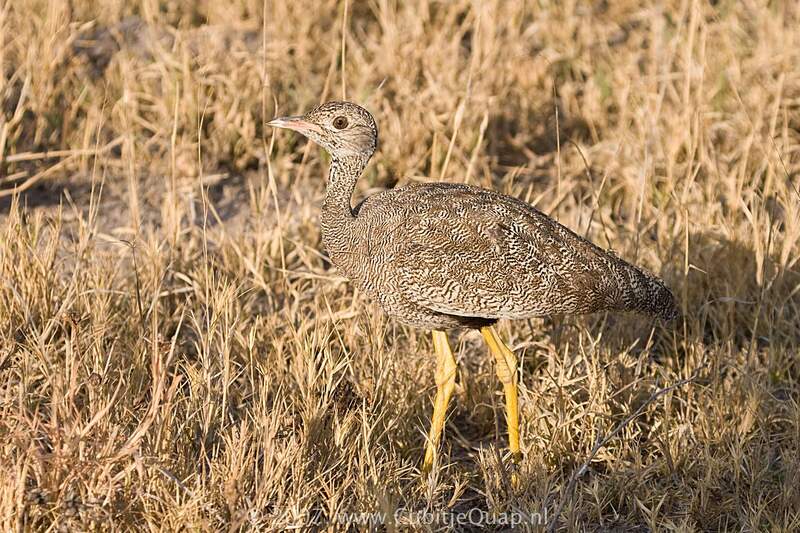 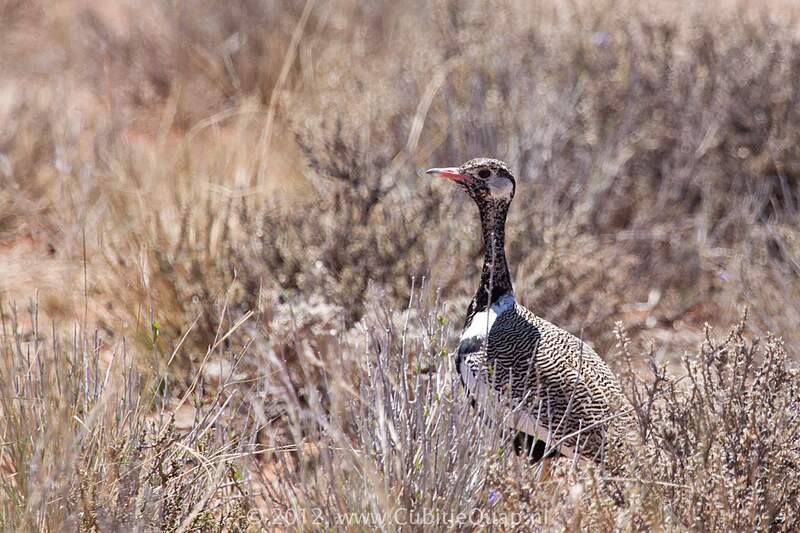 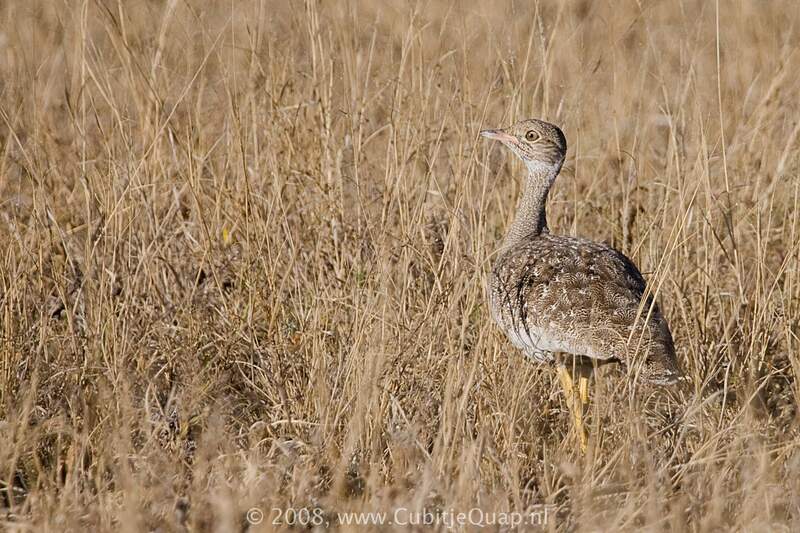 It may be distinguished from female Red-crested Korhaan by the barring (not chevron shaped markings) on the upper parts. 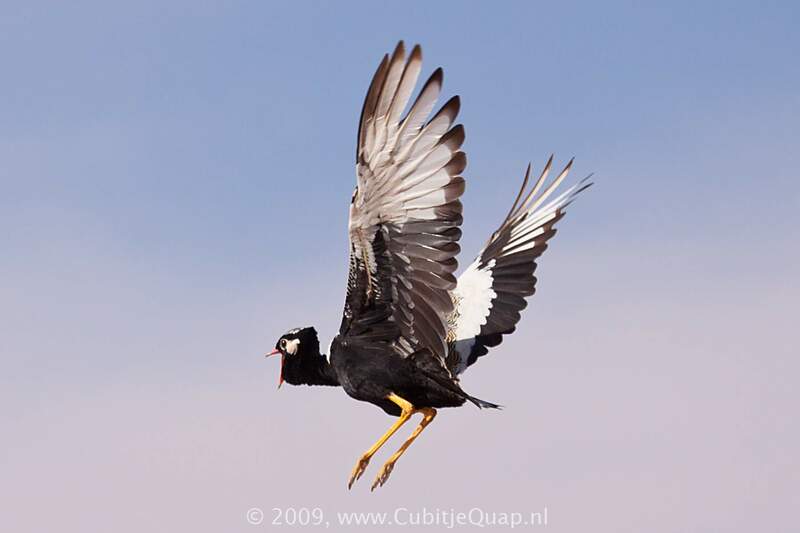 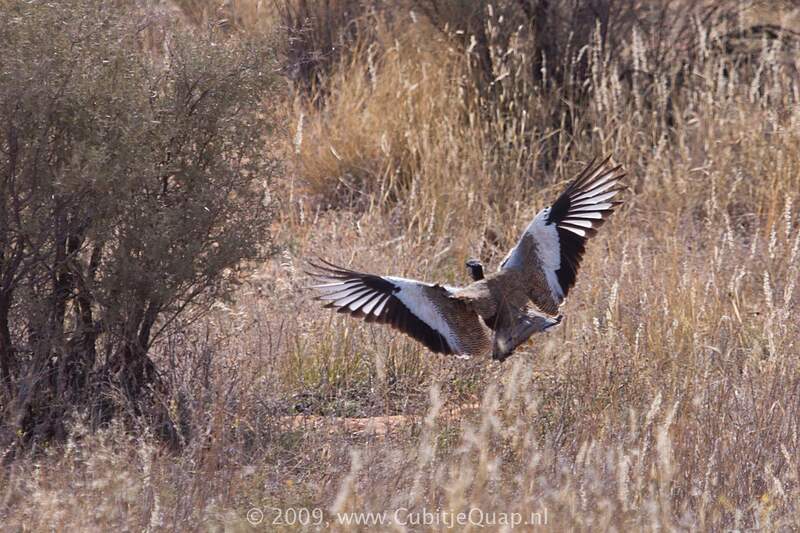 Male gives a raucous and repeated 'kerrrak-kerrrak-kerrrak', both in flight and on the ground.